I was so excited to step into that office again. My short jeepney ride that morning was a mixture of nostalgia and anticipation to meet old friends. It has been seven years since I last visited their office. I was running a little late for our 9 o'clock training workshop that morning. I was planning to note even the slightest change I see along the road but besides the new place called Capital Commons, everything was almost the same. Deep inside, I was also hoping that my friends will be as receptive just like when I used to visit and join them in their discussions. "Palengke na ko." I sent a text message to Arnold, union president of AGC Flat Glass Philippines Labor Union (AGPHLU-NAFLU-KMU) to tell him that I was already in the area. Every worker is a reporter. We were invited to share important insights on citizen journalism, social media and news writing. Safety organization, Institute for Occupational Health and Safety Development (IOHSAD), where I work as an Advocacy Officer has an ongoing project, Workers and Citizens Action for Safety (WORKINGCAST). The project aims to train workers to be reporters and utilize social media to report health and safety issues in their workplaces. I was joined by Carlos Maningat, head researcher of Ecumenical Institute for Labor Education and Research (EILER) who facilated the news writing workshop as part of their project, Contractuals for Change Media Collective (CCMC). The first thing that we asked was how many of the participants have Facebook accounts. We needed to know the answer to that important question so we can evaluate our prepared outline and flow of discussion. We were glad to know that all the workers were familiar with Facebook (through their children and wives) but only half of them have their own FB accounts. According to We are Social, a Singapore based social media agency, 36 million or 1/3 of the Philippine population are internet users and 34 million are active Facebook users. 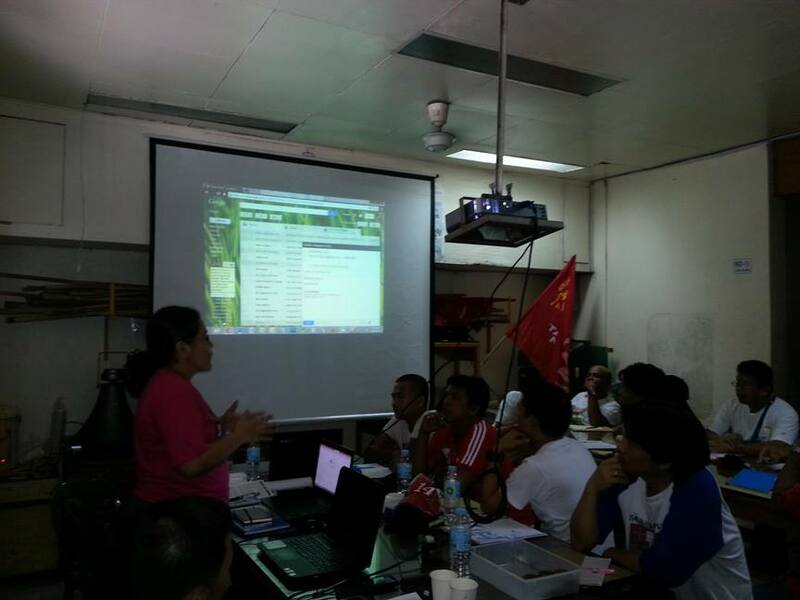 Based on the previous trainings we have conducted among workers, we found out that most of them are still not active FB users due to long hours of work and limited internet access. Despite these findings, we still believe that social media advocacy must be tapped by the workers to spread awareness and gather public support for their causes. We specifically chose to focus on the working conditions and the dire situation of Filipino contractual workers because these topics are not discussed in mainstream media. Big media outfits (TV, radio, print and online) provide very limited space for issues involving violations of safety standards in workplaces. Safety issues are only given attention by the media when accidents claim workers' lives such as the Eton tragedy in 2011 (10 workers) and the Butuan fire in 2012 (17 female workers). 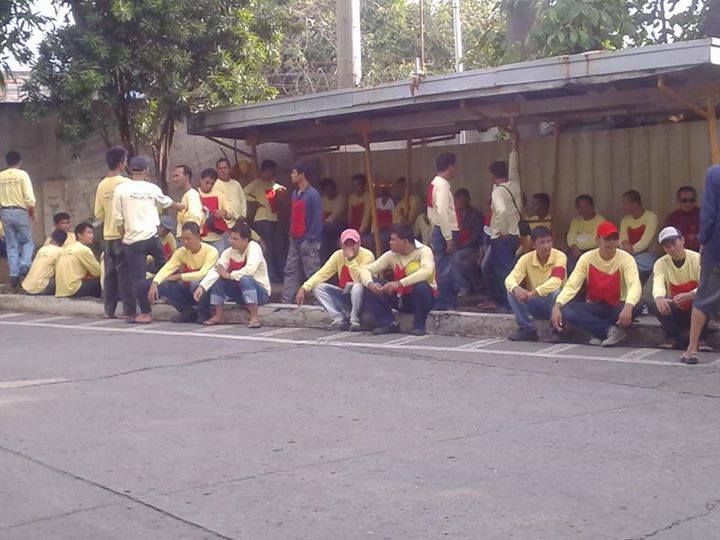 True enough, almost 200 contractual workers of AGC Flat Glass Philippines just lost their jobs last June 16 when the subcontractor they are affiliated with, Primus Inter Pares Multi-purpose Cooperative was suspended by United Terminal Services, the main contractor hired by AGC Flat Glass to supply them with skilled contractual workers. Every day since their termination, workers line up outside the factory gate waiting to be called and return to work. Most of the workers are skilled and have been working in the company for more than 10 years. The workshop participants immediately applied the tips we shared in writing news alerts. The affected contractual workers with the help of the regular workers of AGC Flat Glass composed a news alert describing their present situation. We immediately posted their update on CCMC's Facebook page. Humigit-kumulang sa 200 na kontraktwal ang nawalan ng trabaho sa kumpanya na AGC Flat Glass Philippines Inc. nitong June 16, 2014 matapos suspendihin ang kontrata ng subkontraktor na Primus Inter Pares Multi-purpose Cooperative. Sinuspindi ang kontrata ng Primus ng United Terminal Services (UTS), main na kontraktor ng AGC Flat Glass Philippines Inc. dahil umano sa hindi pag-comply sa requirements ng UTS. Nababahala ang mga manggagawa - na key personnel o skilled workers - dahil pinostehan sila ng tatlong pulis na armado ng matataas na kalibre ng baril bandang alas-5:30 ng umaga noong June 16, 2014. Hanggang sa ngayon, humigit-kumulang 100 manggagawa ang araw-araw na naghihintay sa Gate 1 ng AGC Flat Glass Philippines Inc. na walang katiyakan ang kabuhayan. WAKASAN ANG KONTRAKTWALISASYON! Tuloy ang laban! Let Filipino workers' voices be heard in social media. We ended our training workshop with a lot of questions but also full of future plans in mind. How can we effectively use social media to highlight workers' issues? How do we measure the success of our initial social media campaign efforts? We are optimistic that through constant study, practice and active engagement, our social media advocacy campaign for workers' issues will meet its goals and gather wide support from the netizens. We are slowly putting our plans into action, gaining small victories and lessons along the way. "Gagawa na ako ng facebook account pag-uwi ko," said one of the workers as we were about to close the discussion. We saw the eagerness of the workers to learn and explore the potential of social media in raising their plight, issues and concerns to the public. It was indeed good to be back and interact with the workers I also consider as my friends. This time, we pledged to work together as we make breakthrough strides in digital advocacy, inspiring other workers to get involved and take action. I will definitely see them again,not only in Facebook, but in their workplaces and the streets where we will create meaningful changes in people's lives. POST TRIP: This is a new section in the blog where I list down some online articles and resources I read while writing my post. Here are some engaging reads and events you may be interested to squeeze in your busy schedule. Enjoy and happy reading! Very helpful reading on using social media for digital advocacy. Click and read some recommended sites at the end of the article for further reading on the topic. 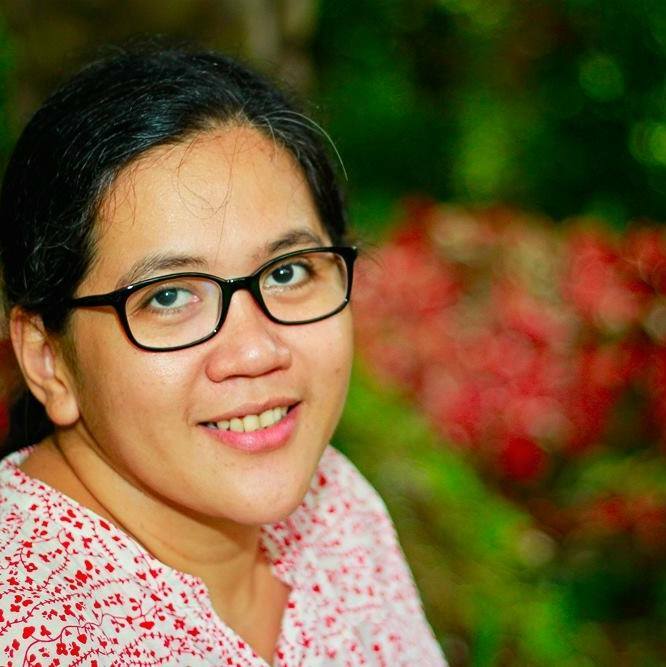 I thank Martine De Luna for sharing her blogging mentors' valuable sites. Here is Chris Brogan's 40 Ways to Deliver Killer Blog Content. It was written in 2008 but still very much relevant and helpful to newbie bloggers like me. One of my goals this year is to create engaging infographics for my blog and our organization's website. I found fresh and creative ideas here. Let's try and make some winner inforgraphics soon! Be part of #bringbackNXP24's Social Media Action Day on July 5 as we commemorate the second month of the NXP (formerly Philips) workers' fight to reinstate the 24 illegally laid off workers and call to resume the Collective Bargaining Agreement talks between the union and NXP management. 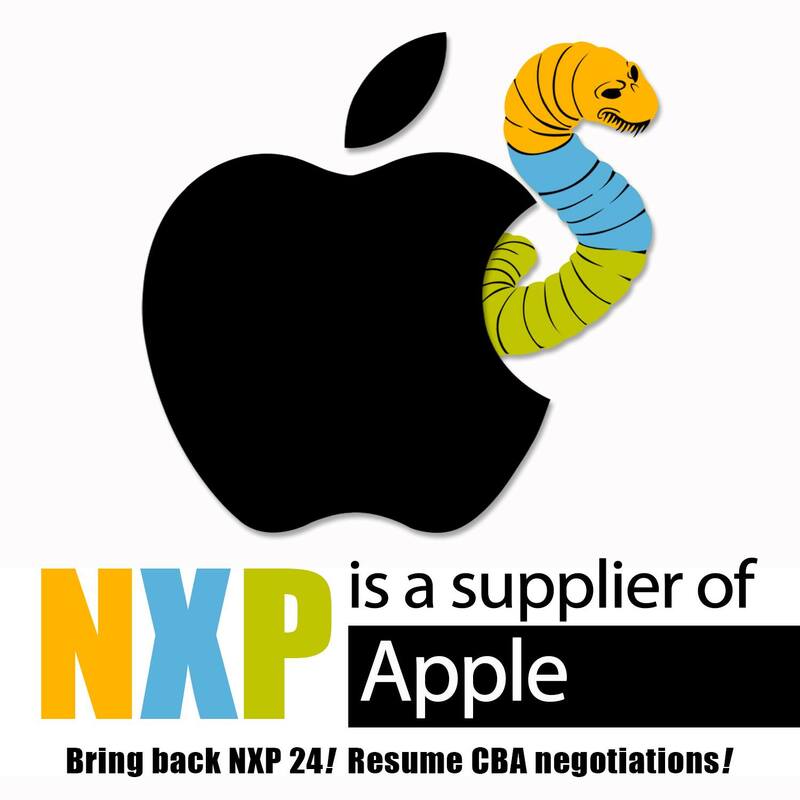 To know more about their campaign, please visit bringbacknxp.wordpress.com. Please like the campaign's FB page and sign in their online petition.